What Will Constitute a Fraudulent Conveyance in Chapter 7 Bankruptcy? The law doesn't allow you to pick and choose which property you’d really rather not give up for liquidation when you file for Chapter 7 bankruptcy. If you give away property – or even sell it for less than its value – because you want to keep the asset out of the proceedings, this is a fraudulent conveyance. You might even make the transfer with no intention of doing anything wrong, such as if you're trying to try to raise some cash so you won't have to file. If you end up in bankruptcy anyway, the transfer may be a crime. Chapter 7 is a liquidation bankruptcy. This means that when you file, the trustee takes possession of most of your assets and sells the property to raise money to pay your debts. He won't take all of your property, though. You're allowed certain exemptions under both federal and state laws. For example, you might use exemptions to protect the equity in your home and to protect your household furnishings. The trustee cannot liquidate exempt property, so you can keep it. Your creditors may not receive payment of all you owe in a Chapter 7 proceeding, and if you have no non-exempt assets the trustee can sell, your creditors won't receive anything at all. After payments to your creditors, or no payments if your trustee determines that there are no assets in the bankruptcy, you'll receive a discharge, which means you're no longer legally responsible for paying those debts. Federal law prohibits you from selling or giving away assets within two years of filing for Chapter 7 bankruptcy. An exception exists if you sell something for its fair market value – this is not a fraudulent conveyance. For example, your great aunt might have left you a cherished piece of artwork that's worth $7,000. If you sell it for $7,000, this doesn't present a problem. If you sell it for $5,000, however, you've fraudulently conveyed it if you were insolvent at the time you made the sale – meaning that you had more debts than assets. If you then transfer ownership to your best friend thinking that you can get take it back later when your bankruptcy is over, this is fraud. The laws in some states provide for longer time periods than the federal two-year rule. For example, in California, it's seven years. If your state's time period is longer than two years, your trustee must abide by the state law, rather than the federal bankruptcy law. If you've committed a fraudulent transfer, either intentionally or unintentionally, the trustee is obligated by law to get the property back and return it to your bankruptcy estate for purposes of liquidation. You can no longer use an exemption to protect it from sale if it would have been covered by one. If you fraudulently sold the asset, the buyer becomes a creditor in the proceedings and is entitled to the return of his purchase money. The trustee can file a motion to dismiss your bankruptcy case if he decides that your action was a deliberate attempt to defraud the court and your creditors. In this case, you will still owe all your creditors, and the conveyance may become a criminal offense, punishable by fines and jail time. If you think there's any possibility that you might file for Chapter 7 in the years ahead, consult with an attorney before you sell or give away any property. If it's too late and you've already made such a transfer, it might be possible for you to file for Chapter 13 bankruptcy instead. Chapter 13 does not involve liquidation because you enter into a repayment plan supervised by the trustee to compensate your creditors with your disposable income. If you have enough disposable income to qualify, the transfer of your property may not be an issue of fraud. How Long After Discharge Can a Trustee Take Assets? Will the Trustee Come to My Home & Inventory My Possessions If I File Chapter 7 Bankruptcy? After you file your petition for Chapter 7 bankruptcy, a court-appointed trustee begins evaluating your assets to determine whether they are subject to being sold to repay your creditors. Although the trustee has authority to come to your home to physically inspect your property, this is not common because in most Chapter 7 bankruptcies, there are very little or no assets to liquidate. However, if the trustee determines you have property that can be sold, you are likely to be visited by an appraiser or real estate agent. Do I Have to Give Up Things That I Own Outright When I File Bankruptcy? Bankruptcy can be an intimidating process because of the uncertainty and complexity involved in turning over your debts to a bankruptcy court to help you get a fresh start. Depending on the type of bankruptcy you file, your assets may be sold – or liquidated – to pay your creditors, or your assets may be safe because you are paying on your debts. Even when your assets are subject to liquidation, some of your things may be exempt from sale based on state or federal law. Do You Always Get a Notice of Abandonment From a Trustee? Although it may seem to defy logic, receiving a notice of abandonment from the trustee is often cause to celebrate if you've filed for Chapter 7 bankruptcy. It means he's walking away from your property, declining his right to liquidate it and pass the money on to your creditors. Sometimes a trustee neglects to issue notices of abandonment, but if he doesn't sell your property by the time you receive your discharge and the case closes, it's considered abandoned anyway. However, abandonment isn't an issue in Chapter 13 bankruptcies because you're repaying your debts from your own income, not the sale of your assets. Can They Take My Car in a Private Bankruptcy in the US? 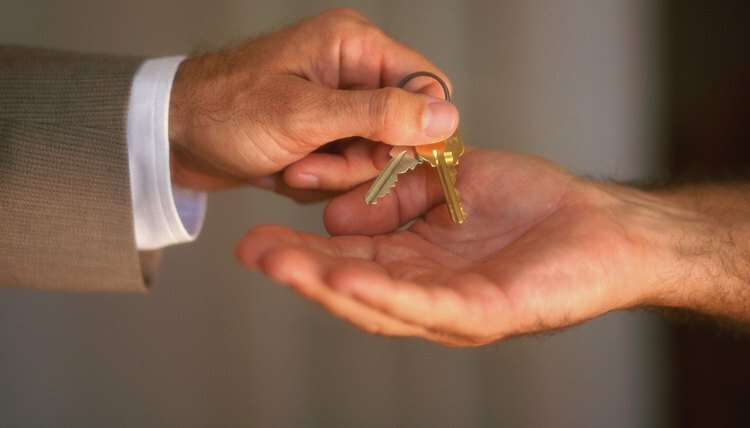 Can Creditors Get Property Put in Trust Before a Bankruptcy? Can the Bankruptcy Trustee Force the Sale of an Inherited Property? Can a Debtor Request Abandonment in a Chapter 7 Bankruptcy Case?